Welcome to 14 Venetian Ct! 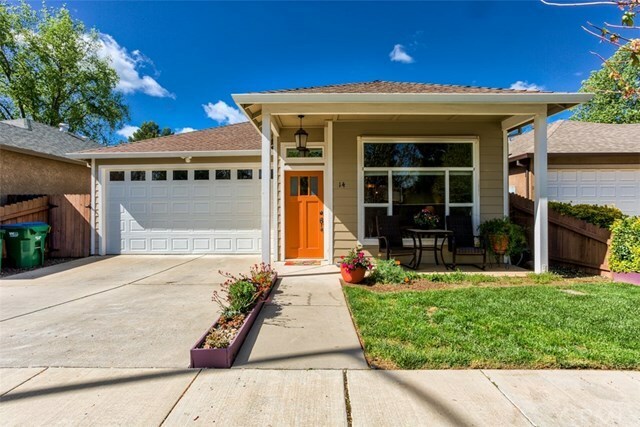 You do not want to miss this charming, turnkey North Chico home. Completely move-in-ready, with a spacious kitchen including granite counters with eating bar, stainless steel appliances, under cabinet lighting, gas stove and plenty of cabinet space. New exterior and interior paint, whole house fan and anti shine windows. Master bathroom has jetted tub, tiled floors and tile counters with dual sinks and a large walk-in closet. Ceiling fans in bedrooms and living room, a dual sided gas fireplace between living and dining rooms keep this home in perfect temperature no matter the time of year. There is also a central vacuum system in the house, a two car garage and a low maintenance yard. Don't miss out!